Need a spare key? Broken the key inside of the ignition? Locked yourself out of your Jeep? Call our professional locksmiths and we’ll quickly resolve these issues and many others. 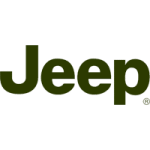 No matter the model or year Jeep you drive, our trained locksmiths can make a new key or handle any lock needs that might arise. We offer our services on a 24-hour basis, providing reliable service in a flash. We’ve pleased many customers in the area over the years and would love for you to learn firsthand why Door N Key Locksmith has earned the amazing reputation that backs us now. Why not pick up the phone? It is frustrating when you cannot drive your vehicle because you need a key. Even worse is when this problem causes you to be late for work or late to an important event. We know how you feel and never add worry to the day. We have multiple locksmiths in town, so there is always someone to respond to your needs quickly. And, we service your needs in a fully-loaded van, ensuring all of the items needed for your repair are on-hand and readily available. We provide services to all Jeep owners in the area. Call us 365 days a year and we’ll take care of your needs.